Ironbark Timber is a local family business that has grown from humble beginnings in 1983 to become one of the largest retail suppliers of timber in the region. With more than 180 years of combined experience, no-one knows more about timber than the expert team at Ironbark Timber. We love the stuff. At Ironbark Timber we stock the widest range of softwood and hardwood timber on the Sunshine Coast – at very affordable prices. 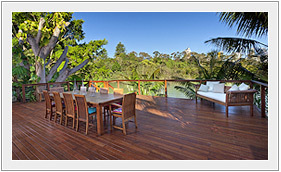 We specialise in Queensland hardwoods, sleepers and pine. Need hardwood decking? We’ve got it. Want outdoor structural timber? No problems. Like to improve the garden with hardwood sleepers? You’ve come to the right place. Looking for fencing materials? 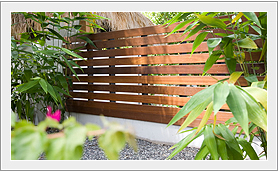 Ironbark Timber has all softwood or hardwood fencing options covered. 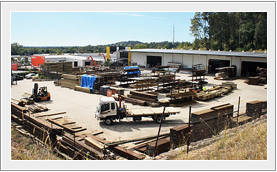 Ironbark Timber’s huge yard has easy access for your car and trailer, and product is conveniently arranged for faster selection and loading. We also offer a delivery service from Gympie to Caboolture. 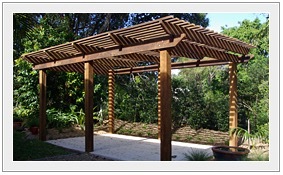 Ironbark Timber Products has the expertise and experience to help you with your plans. We’ll help you choose the right timber for your project, select the stain that suits your colour scheme and organise delivery. We can even arrange to get it built for you! Visit our showroom today to view the latest timber products and trends, or browse through the image galleries on this site for great ideas on how our timber can be used around your place.